The Indian remy hair color chart is only for our Indian remy hair extensions, Indian remy hair full lace wigs, Indian remy hair lace front wigs. 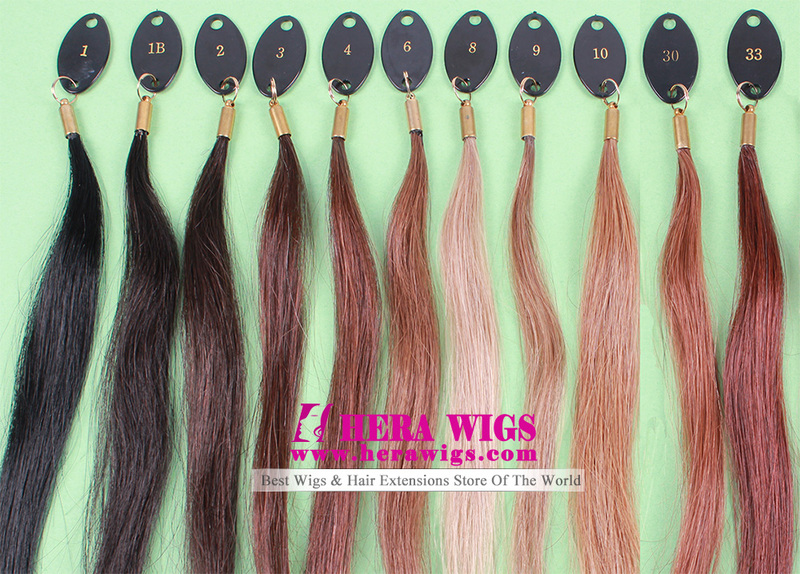 You should check the color number carefully before your place any stock Indian remy hair lace wigs or hair extensions orders. Please note, actual colors may a little vary with the picture because different computer have different color show effect. Please notice that, we don't supply light color for Indian remy hair any more, so if you want light color, please choose any of Indian virgin hair, Chinese virgin hair, Brazilian virgin hair, Mongolian virgin hair, Malaysian virgin hair, European virgin hair etc products, which you could check Hera Virgin hair color chart for virgin hair products. If you want precise Indian remy hair color, we advise you buy our Indian remy hair color swatch first before your order.